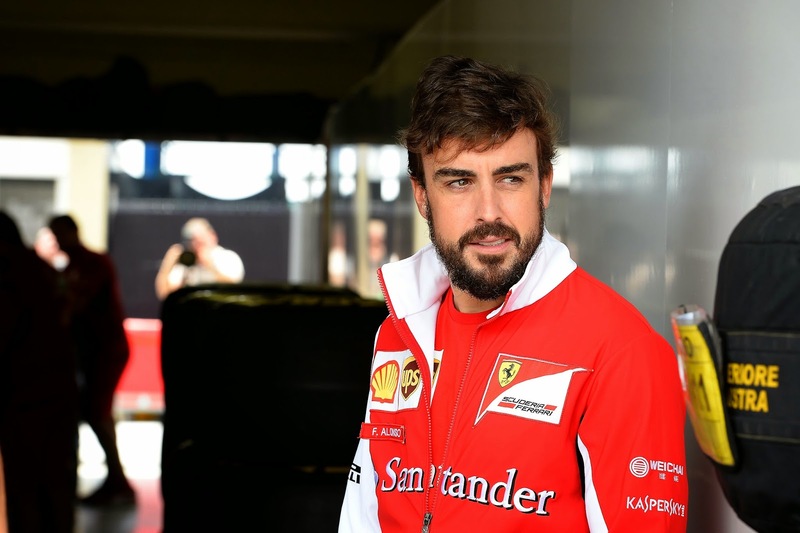 Axis Of Oversteer: Alonso drops a bombshell: Ferrari might be best option. Alonso drops a bombshell: Ferrari might be best option. In the seemingly never ending saga around his future employment, Nando dropped a bomb at Interlagos but, curiously, it was for the most part ignored by British media and only reported by Spanish and Italian publications. "I have the option to go to any team i want for the final years of my career. I have to evaluate what is the best option for me, if to renew with Ferrari for the long term, something we have been discussing all year"
Boom... except with the UK crowd, who generally despise Alonso and will certainly have little patience with being trolled like this by the Spaniard. At this point the Alonso saga is almost more gripping than the actual racing. 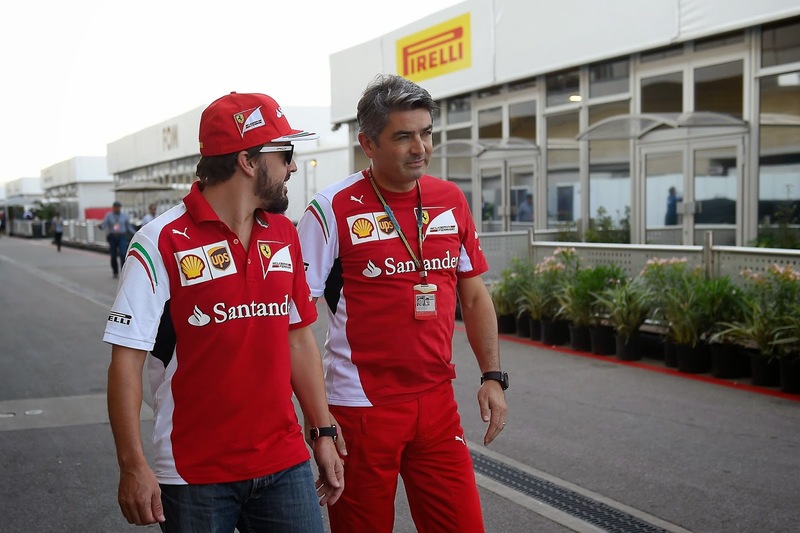 What's interesting is those reports of a door slamming-name calling fight between Alonso and Marco Mattiacci came from a UK source while we can report (and a number of photographs seemed to confirm) that our own CG saw Alonso and Mattiacci laughing and joking with each other in the paddock in Austin. "From the outside it's true that the situation is not so clear, everyone thinks that Mercedes, the team that is dominating at the moment, will dominate next year. We probably though the same last year of Red Bull when they won nine races in a row and then this year they managed only five laps in winter testing. You never know how things will change from year to year, you have to study the projects, evaluate the prospects and follow a direction. At this moment my priority is Ferrari, because we are racing here with 75 people who are working on two cars to achieve the best result possible." What will happen? We think Alonso is the perfect driver for Ferrari and even a pairing of Alonso and Vettel would be epic and would make the pairing of Hamilton and Rosberg seem bland. 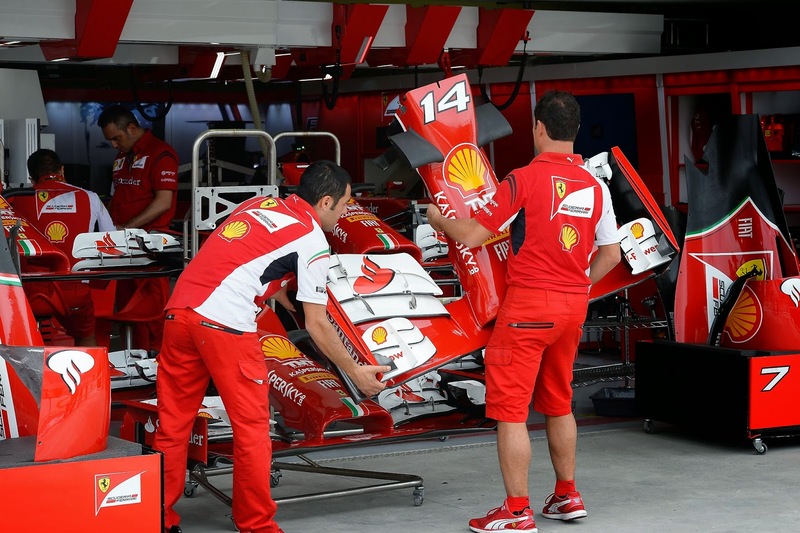 The resurgence of the Ferrari will be the storyline of the next few years in F1, maybe Fernando has figured it out? As usual, leave your take below. So if he's staying then where does that leave Vettel and Raikkonen? Maybe Vettel to McLaren was the move all along. I can't see him having left Red Bull without a contract in place for next year. Ferrari will pay off Raikonen who will retire (he is bored with F1), Alonso will stay with Vettel to show who's the boss, and in hope of becoming a Ferrari savior. Since when do the 'UK crowd' despise Alonso? C'mon how can you write articles and not get then/than right? Unbelievable, don't suppose anyone edits or reviews these either? ya i read the "uk source" before. Mark hughes never said anything good about alonso never, makes for a good read tho. But i think he'll go to mclaren and pray honda somehow makes PU with performance on par with merc. Well, he did also said... Massa proved that is life after Ferrari, ouch Cavallino. McLaren remind me of the Lakers/Yankees of Formula 1. They're (potentially) spending way too much money on the talent while failing to recognize major issues with the rest of the organization and leadership. It's funny that everyone keeps saying that Honda's arrival will be the turning point for them when they already have the sport's dominant engine. Their issues come down to car design, which has been awful for 2 seasons. What is being said is if he leaves Ferrari, the contract is with Honda. So that means he is moving to Honda squad. Next year is only MP4. Also Williams like to have him but is not able to pay what he wants so all the negotiations halted for a FW ride. Of course all these are based on what "someone told me" because Alonso did not said a word.